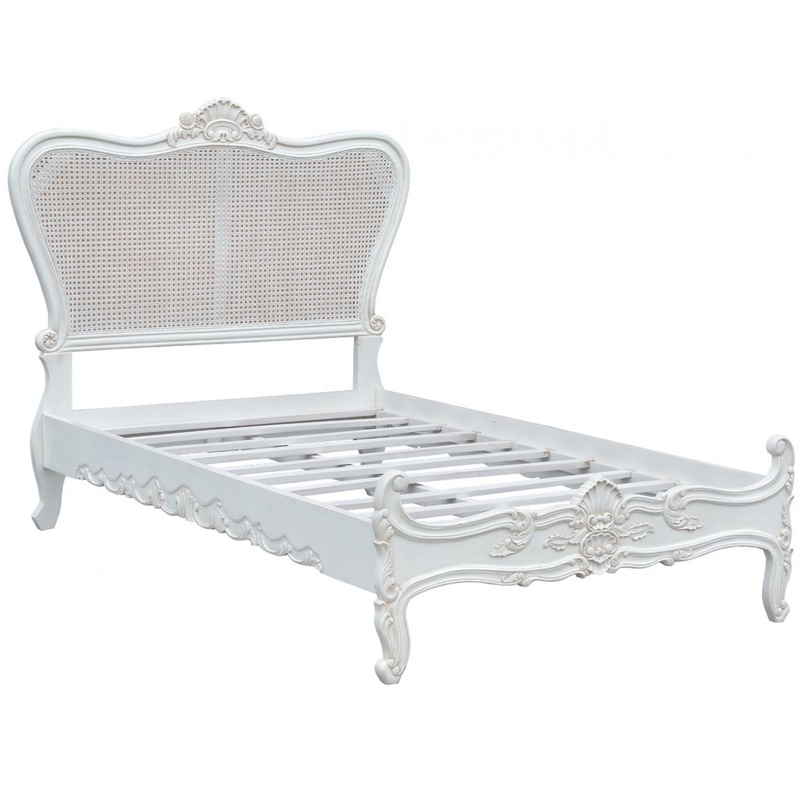 A elegant brand new addition to our French furniture comes this antique French bed with delicate carved detailing. Finished in a antique white colour, it will blend well with other pieces of white French furniture and add a a touch of style to a more contemporary room. This bed is bound to give the whole look of your room a more luxurious feel.